"From Guam to San Francisco, from New Orleans to New York City; gifted author Nicole A. Calvo takes you for a journey around the world, pulling you into the lives of three individuals from different generations. - This book has something for everyone! - War, tropical storms, travel, reunions, and love!" CLICK HERE - BUY NOW! For three years, four-year-old Natty experiences the harshness of a world war in Guam by the Japanese Imperial Army's occupation of the once U.S. controlled Pacific Island. She and her family struggle to live through the tyranny of the Japanese soldiers while secretly remaining loyal to Uncle Sam, as many of her Chamorro people do. As the American Armed Forces begin to make headway in the battle for the Pacific, Guam is heavily bombarded by U.S. warships and airplanes to reclaim it from the foreign occupiers. Japanese soldiers order a death march for the native people to a concentration camp in the eastern part of the island as part of their strategy to prevent the loyal Chamorro from giving away Japanese positions across the island to the Army and Marines that make landfall to heavily fortified Japanese battalions. At last, the liberation of Guam occurs on July 21, 1944, by the U.S. Military Forces. Then one fateful day as Natty walks beside her mother along a dusty village road, she unexpectedly receives her first toy from a complete stranger, a United States Marine. Years go by and this extraordinary encounter becomes the impetus for Natty's storytelling moments with her children and her fascination with rag dolls because of that simple act of kindness. Although this doll would be dramatically taken shortly after she receives it, Natty never forgets the moment a battle-ready soldier gave her an object that proves to be a symbol of peace and hope. 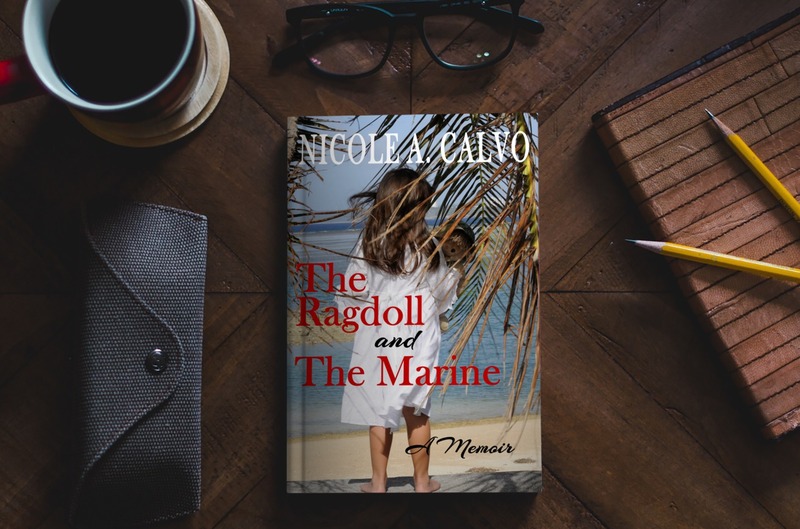 The Ragdoll and the Marine, A Memoir, is a daughter's tribute to the anticipation and beauty of a long-awaited reunion between a little island girl and a Marine liberator approximately 50 years after their fortuitous meeting. Natty's youngest daughter is a witness to the events that lead to a convergence of two kindred spirits from the Greatest Generation the world has ever known - a second meeting of the now grown Natty and her mysterious Marine liberator who is in the twilight of his life. A series of missed opportunities and circumstances inspire her to write about the tenderness and resiliency of love which began and was lost in the throes of World War II in the Pacific and was once again ignited and found after the September 11th, 2001 Terror Attacks in the United States. A single act of selflessness turns into an endearing, unbreakable connection which remains resilient in the face of both natural and manmade catastrophes.